We just received word from Mt. 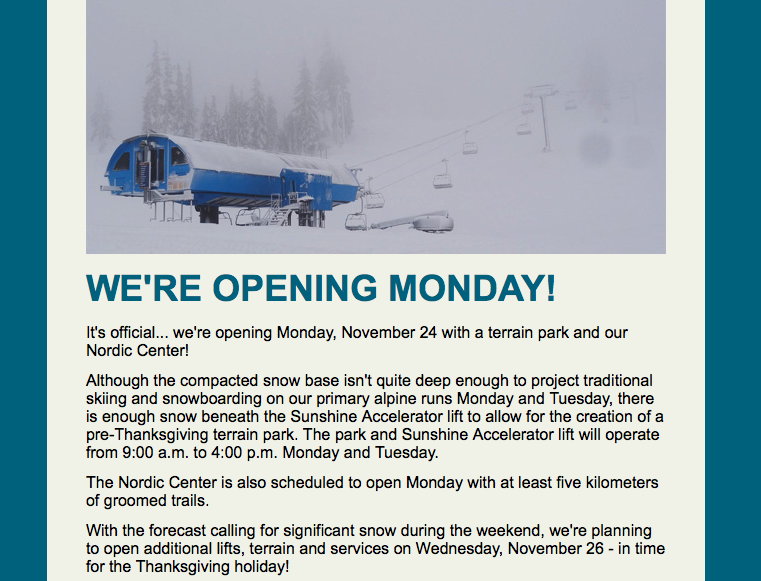 Bachelor that the resort plans to (partially) open on Monday, Nov. 24! That's only FOUR days away!